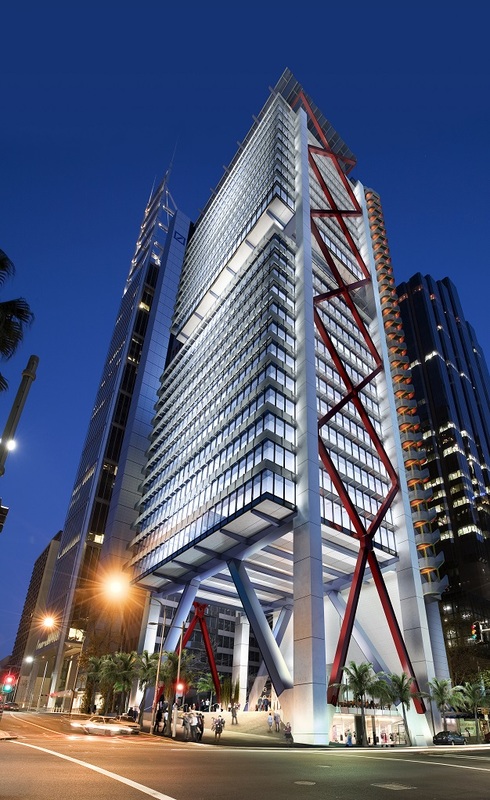 8 Chifley by Mirvac Asset Management is a new premium grade landmark building for Sydney. A step beyond any other commercial building in Australia, 8 Chifley brings to life the vision of the internationally renowned Richard Rogers. Mirvac Asset Management operates within retail, office, commercial, industrial and residential verticals with 1300 employees, $7.5 billion of invested capital across 68 direct property assets, covering the office, retail and industrial sectors and a posted $447.3 million statutory profit after tax in 13/14 BY. 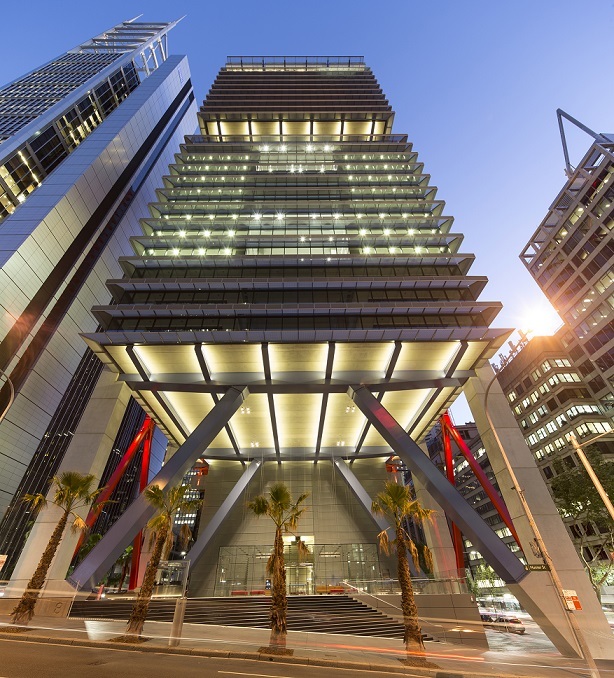 8 Chifley is protected by PACOM’s fully integrated security management system that delivers a high level of security and technical performance. After the completed installation, 8 Chifley performed some calculations to estimate the cost savings associated with the security solution. The biggest impact (that came as a surprise to the customer) was a reduction in power costs of the lift system. This resulted in an estimated comparable reduction of nothing less than 30% per annum, showing the effectiveness of the integrated PACOM access/lift solution which not only results in unrivalled security, but also cost savings in other sectors of the business/ organisation. 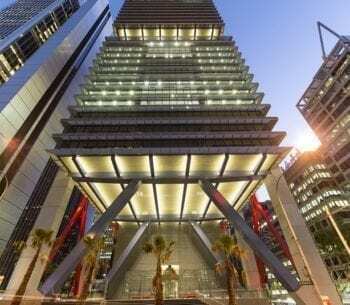 The requirement for this building was an integrated security solution that is built on the best technology in order to provide a safe environment to the tenants. After putting a tender out to market, Mirvac chose PACOM as they provided a solution that would best satisfy the level of integration demands for this project. Otis Compass Destination Management System – 2 x Destination Entry Computers, for lift dispatch and control. Bi-directional server-to-server (HLI) communications between PACOM GMS & Otis Compass. Board level (HLI) to Otis goods and Car Parks lifts. BACnet (HLI) integration with the air conditioning system. In addition, the solution needed to manage more than hundred (100) doors, more than two hundred (200) alarm inputs, 2000 card holders, multiple workstations and incorporate full server redundancy. A software management system with full command and control and graphical capabilities that could easily be operated was also a critical part of the requirement. The proposed solution for Mirvac was an integrated solution comprising PACOM’s Graphical Management System (GMS) – a modular client-server application that provides full security system control. PACOM GMS offers integration with a wide variety of different sub-systems, some of which were required by Mirvac. The solution was also built around PACOM’s award-winning 8000-series field controllers, input/output cards, door interfaces and a hot standby server solution. As a proof of its excellence and customer focus, PACOM developed the HLI to the latest version of the Otis Compass dispatch system specifically for this particular project. After the completed installation, 8 Chifley performed some calculations to estimate the cost savings associated with the security solution. The biggest impact (that came as a surprise to the customer) was a reduction in power costs of the lift system. This resulted in an estimated comparable reduction of nothing less than 30% per annum, showing the effectiveness of the integrated PACOM access/lift solution which not only results in unrivalled security, but also cost savings in other sectors of the business/organisation. PACOM’s High Level Interface (HLI) was used to integrate the access/alarm system with the DVTel video system. The HLI enabled any event to be linked with video. If an alarm occurs, for example, the event information is passed immediately to the security operator who can instantly verify the event via CCTV, rather than lose valuable time searching for the appropriate piece of video. Similarly, the HLI with the Jacques intercom system also provided a wealth of benefits. PACOM’s GMS software provided the convenience for the operators at 8 Chifley to respond to calls, perform actions and monitor the status of the intercom entire system. 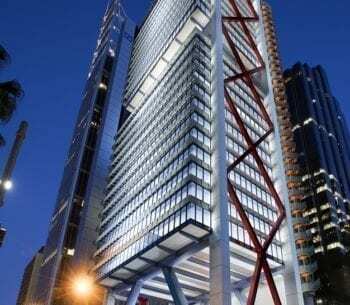 Intelligent automation with the air conditioning system has also been achieved at 8 Chifley.